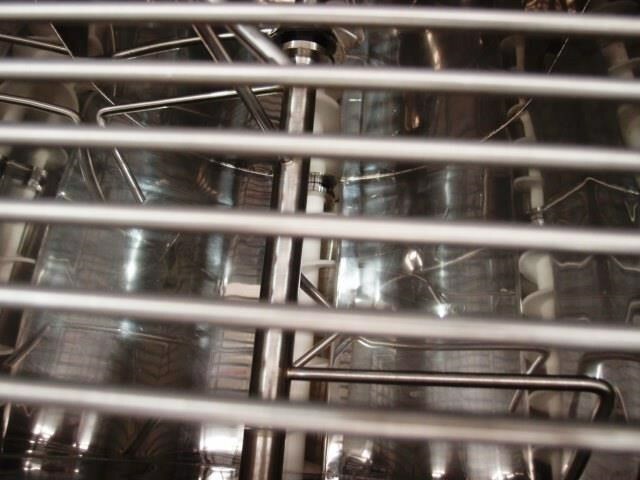 Unit is a stainless steel Fruit/Ingredient Feeder. 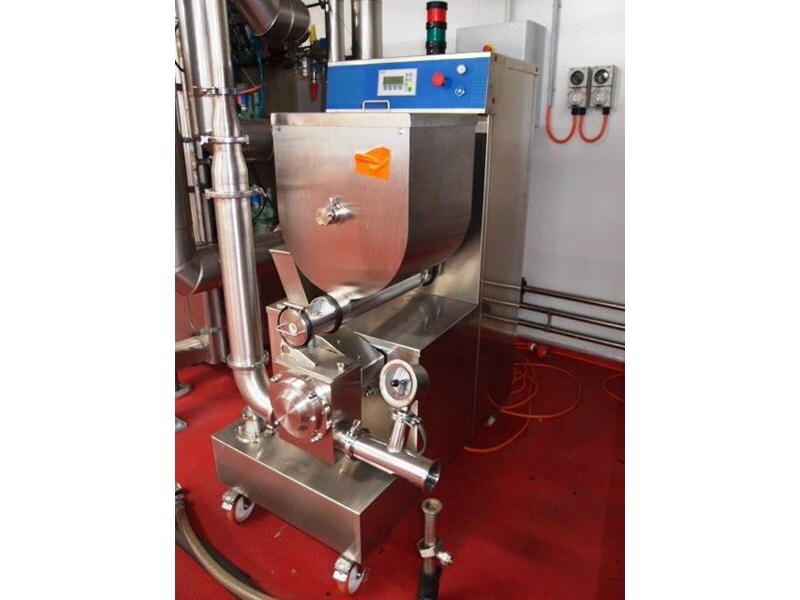 Machine is designed for the inclusion of such ingredients as nuts, dried raisins, chocolate pieces, biscuits, melted chocolate, with a minimum of 2mm to a maximum of 10mm pieces which are put into ice cream. 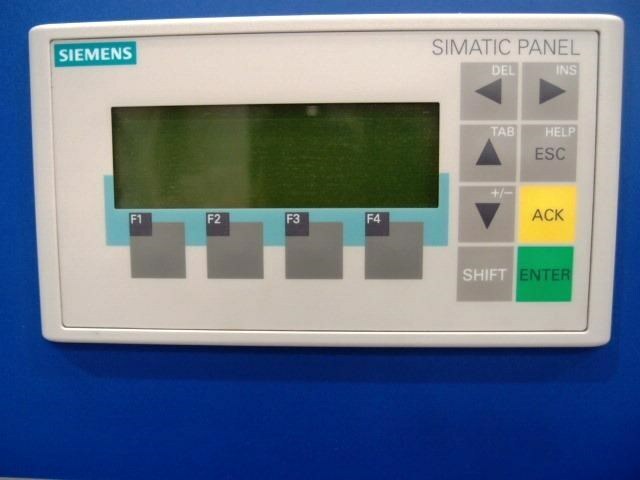 - PLC & Variable speed controllers for preset recipes. 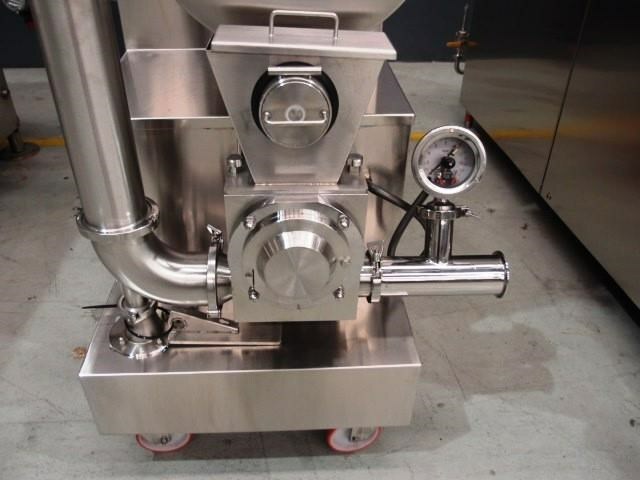 - 30Lt hopper equipped with stirrer. - Continuous spiral feeder controlled by inverter & PLC. 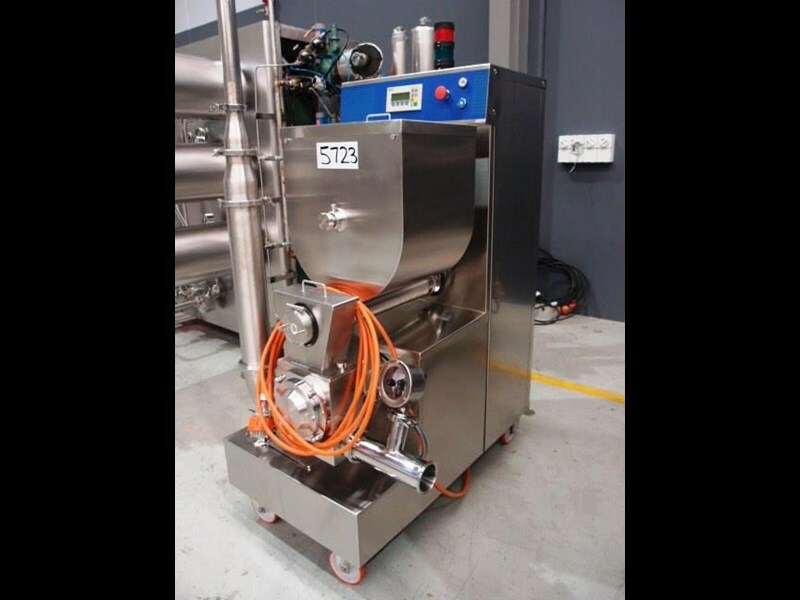 - 75mm Dia stainless steel inline positive displacement pump. - 6-8 Amp, 2.75Kw motor, 415 Volt. 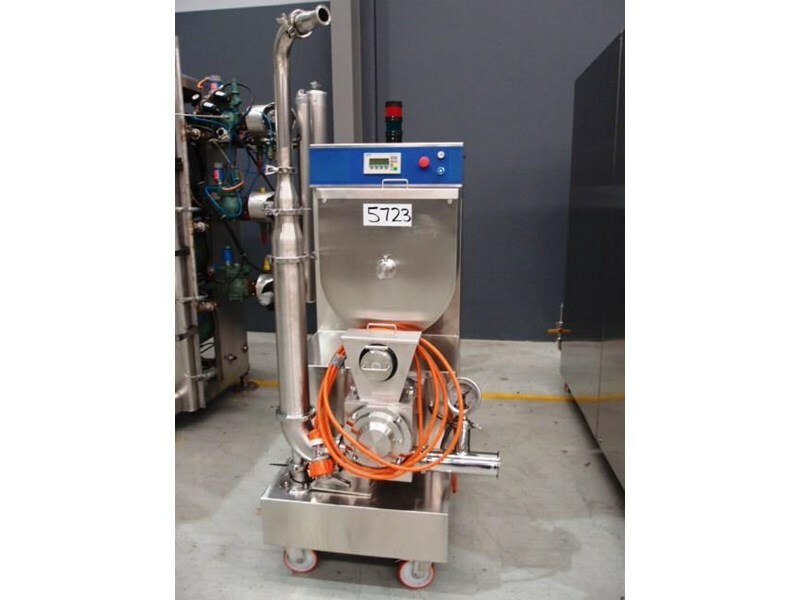 - Overall Dimensions: 800mm W x 1150mm D x 1700mm H.